HARLEM—As the owner of Sudsy Water, a Harlem-based retail and commercial laundry service, LaChena Clark often finds her head spinning from all the work she has to do. "When you are wearing seven hats, things go undone or sometimes aren't done well," said Clark. 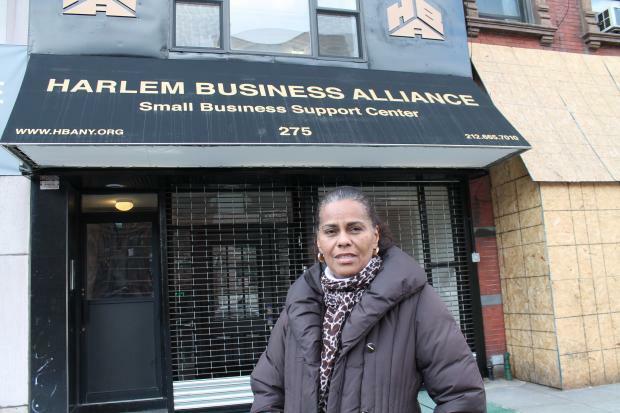 That's why she's one of the earliest clients to take advantage of the Harlem Business Alliance's Small Business Support Center, which helps small business owners with important back office functions such as bookkeeping, accounting, marketing, certification, bid preparation and financial planning. Clark gets help with her books from the alliance and it has freed her up to pursue more clients and contracts. With the grand-opening of the Small Business Support Center on Friday, Clark hopes more small business owners such as herself will take advantage of the services. Using a $700,000 grant from the Community Economic Development Program of the U.S. Department of Health and Human Services, the alliance renovated the ground space of their building at 275 Lenox Ave. Inside are computers and even a conference room where small business owners can come and use the facilities and get advice and help to grow their business. 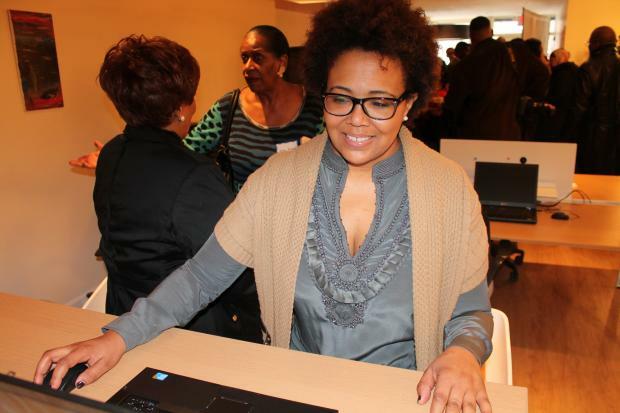 Because they are located on the second floor of the building, Harlem Business Alliance Executive Director Regina Smith said the new space will make them more visible. "We understand being an entrepreneur is a tremendous undertaking," said Smith. The effort comes after the high-profile closure of several black-owned businesses in Harlem including Hue-Man Bookstore; bowling alley Harlem Lanes; Sherman's Barbecue, a 60-year-old rib joint that once served the Beatles; Nectar Wine Bar; Society Coffee; Mobay Uptown, a Caribbean soul food restaurant along 125th Street; and wine shop Harlem Vintage. Smith said Rep. Charles Rangel, Sen. Kirsten Gillibrand and Councilwoman Inez Dickens were helpful in securing the grant money. "It takes a real strong person to invest their life's savings in a business," said Rangel. Dickens said she hopes the grant helps small business owners who weathered the difficult days in Harlem now that the neighborhood is attracting more and more national retailers such as The Gap and a planned Whole Foods and Burlington Coat Factory on 125th Street. "Harlem is now being recognized as a jewel, but many of you stayed when no one wanted to come to Harlem and no one wanted to invest here," said Dickens. "Now that everyone wants to come to Harlem, I want those that stayed here to have the ability to continue to stay here." City Comptroller John Liu, also a mayoral candidate, said a lot of rhetoric is given to the idea that small businesses are the backbone of the city but there is a lot more that government can do to help such as tax breaks and reducing harsh enforcement measures and fines. "When you put money in the hands of small business owners they are not going to take a vacation, they are going to reinvest it into their small business, which is their life," said Liu. The bi-level space is decorated with brightly colored office furniture thanks to a collaboration with IncubateNYC which will also share space in the new facility. Angie Hancock, of marketing and promotion firm Experience Harlem, will be giving seminars for small business owners in the space. "Small business owners are so busy they have to get their training in real time," said Hancock. "Here, I can help them set up their marketing ideas in a hands-on way."